Although summer should be all about nice sharp colours but I'm currently more into neutral greys and the transitioning colours that make up to grey. So here's my not so fifty shades of grey with these beautiful shades. OPI - Berlin There Done That - These are the colours I currently have on and it's a beautiful purply shade that leans on the colour grey. It has a very neutral undertone, matches simple outfit or an easy all-black outfits. 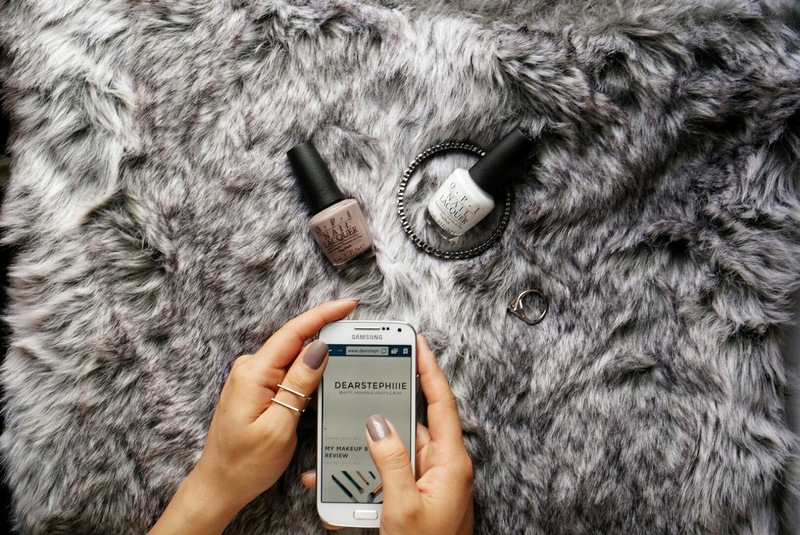 OPI - Alpine Snow - I believe this is the flashiest white nail polish ever! It is great with silver tone jewelry and either a neutral bohemian outfit or a simple plain t-shirt and jeans. 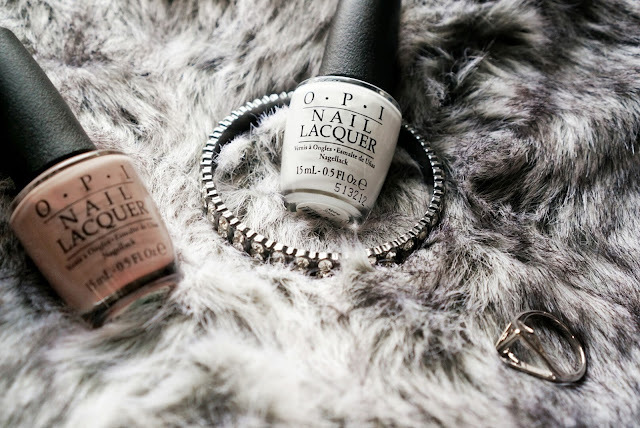 The great thing about OPI nail polish is that they're brush heads are designed to have really easy application, they're formula consistency gives you great coverage after one stroke, and it dries super quick and even. Check out Trade Secrets for a variety of colours and they offer free shipping anywhere in Canada. They currently have a promotion for 30% off Tassel Tattoos, 33% off Pink Pewter Headband and save $60 with GS BubbleWand/Curl Spiral Wand/Curl Twister Wand.